Celebrating a birthday? 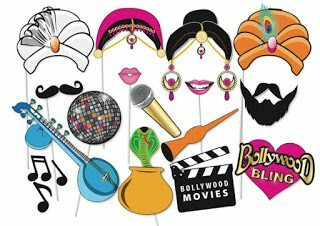 Why not mark the occasion with Bollywood theme party! 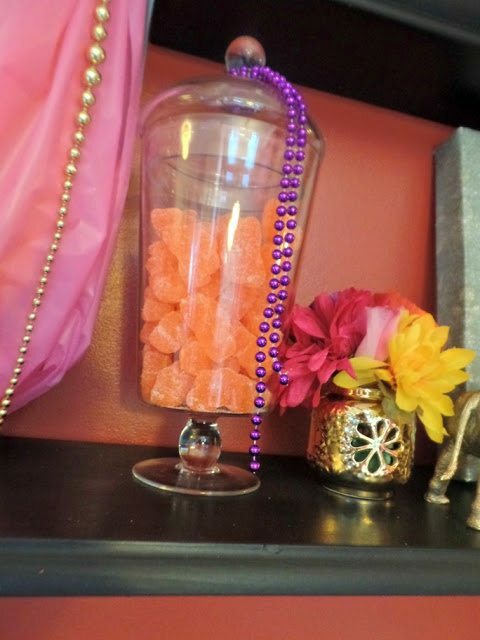 The rich, vibrant, jewel colors will have you and your guests feeling as though you’ve been transported to India and beyond! No, there isn’t a glitch in your system, I am writing a blog post. I know you’ve been hearing the crickets chirping instead of my fingers flying on the keyboard! Fifth-grade graduation – is that even a thing? Adult children are moving in. And repeat. The 21 Day Fix – I’m eating out of containers. Are you exhausted yet because I know I am? The show must go on. Today, I clawed my way back to share one of the three parties with you! If you know me, you know I love a party! 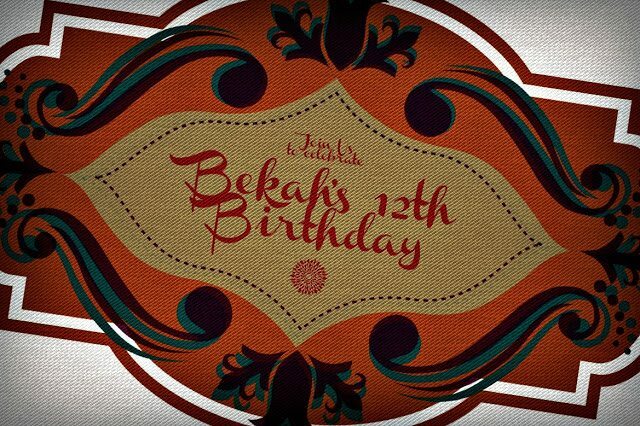 Our lovely girl, Bekah, was turning 12, and the celebration was at our house this year. 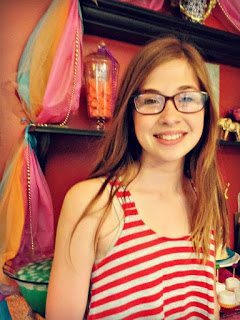 We threw a fun party for family and friends, followed by a movie/sleepover for eight tweens-bordering-on-teens. The theme – Bollywood! Inspiration comes from the most unlikely of places – in this case, a mini-card stock book that I can’t for the life of me even remember when or why I picked up. 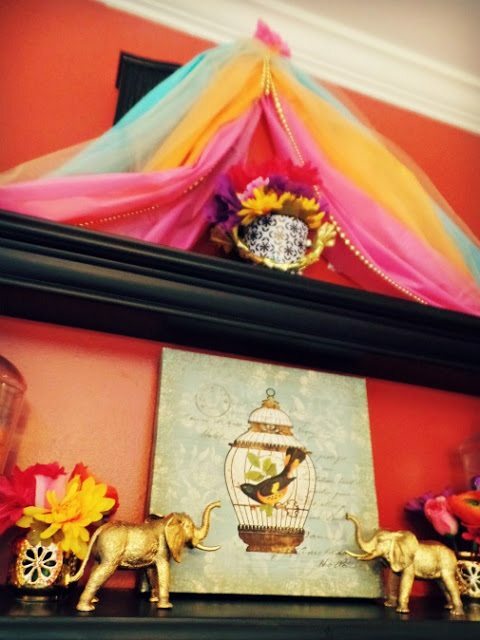 Add to that Bekah’s love for her favorite reigning Disney princess Jasmine, and you’ve inspiration for a theme! It was a unique theme that was easy to execute. Bright colors, mixed patterns and an over-abundance of a glittery gold set just the right mood and tone. Here are a few of the highlights. The party starts at the front door. For the entryway, I used various pieces from around my home, and from different projects. 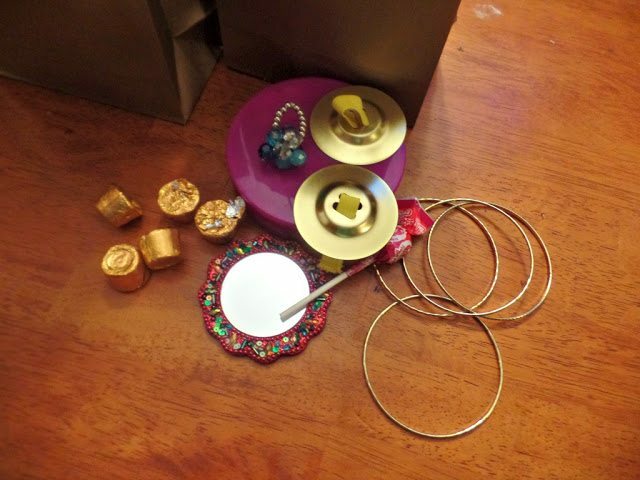 Click the links below to see how I’ve used some of these items in the past! 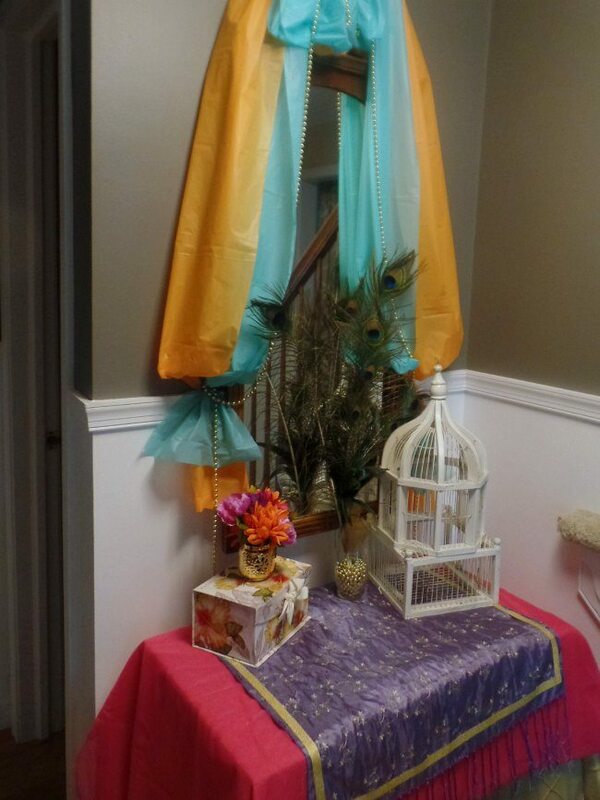 Mirror draping – Walmart party tablecloths, the most versatile party decor! Check here and here for other purposes. Peacock feathers – Peacock Halloween costume. Gold beads – Christmas decor. 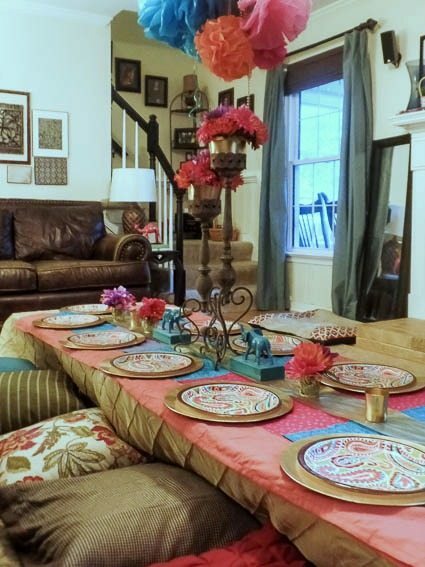 Table covers – Mine, drapes, curtains and a scarf embellished with gold washi tape. I like to start the party with an interactive activity – it’s perfect for that time in between the first guest arriving and the last, and it’s a fantastic icebreaker. This embellished bud vase craft was inexpensive and straightforward enough for even the littlest guests. 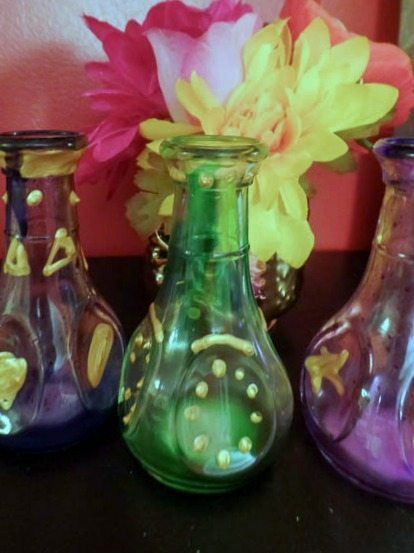 Gold puffy paint works it’s magic while homemade glass paint adds just a hint of color on what seems a personal genie bottle. You can find a full tutorial at Creme de la Craft. Dinner (Pizza – I wasn’t up for authentic cuisine cooking!) was on the floor! We made the table using our Ping Pong table top and 6-7 milk cartons in a row. 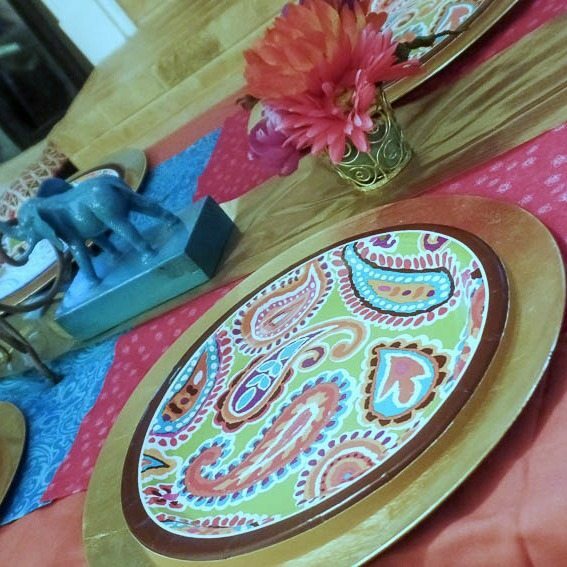 When decorating for a Moroccan/Indian theme, think layers of color. We laid down thick golden-colored drapes as the base, followed by an orange cotton sheet as a runner. Layers of quilting fabric, fat-quarter size, in various jewel tones layered on top. A roll of gold organza ribbon lay down the middle. The table sat 12 comfortably – if sitting on the floor is your idea of comfortable! Chargers – Find them at Walmart during the holiday season for cheap. See here for other uses. Dessert, of course, included cake – coconut is Bekah’s favorite and her request every year – as well as a selection of other yummy sweets and treats. 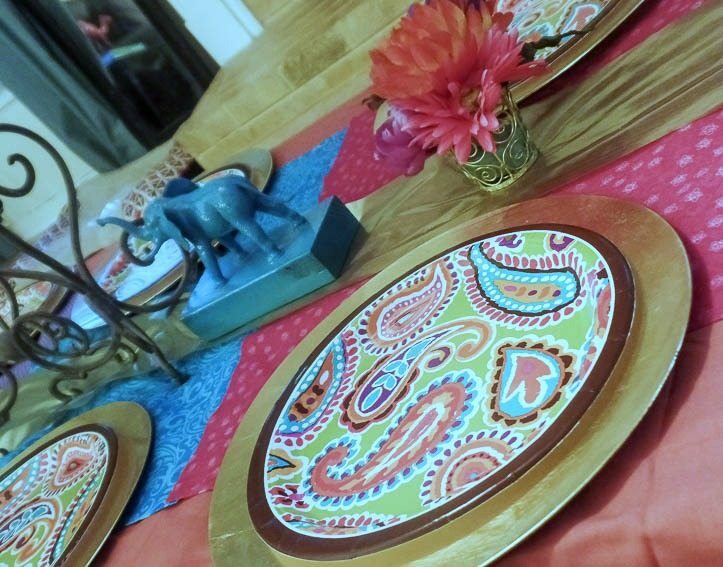 The decor was made up of various items from around the house, as well as a no-sew simple table runner, gold spray-painted elephant toys, and my favorite go-to, vinyl tablecloths. 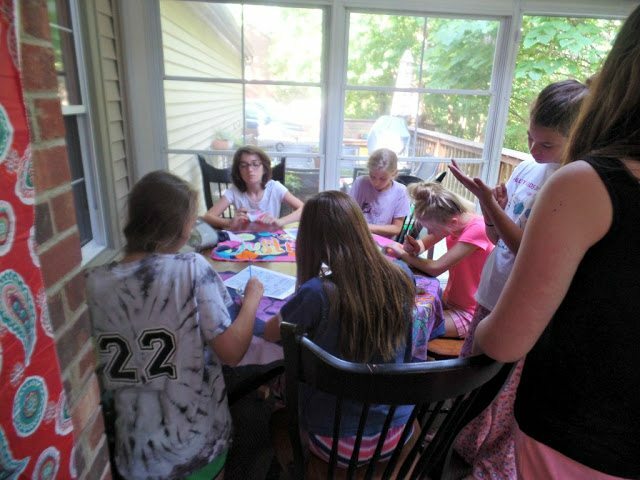 The key to a successful sleepover is keeping everyone busy! 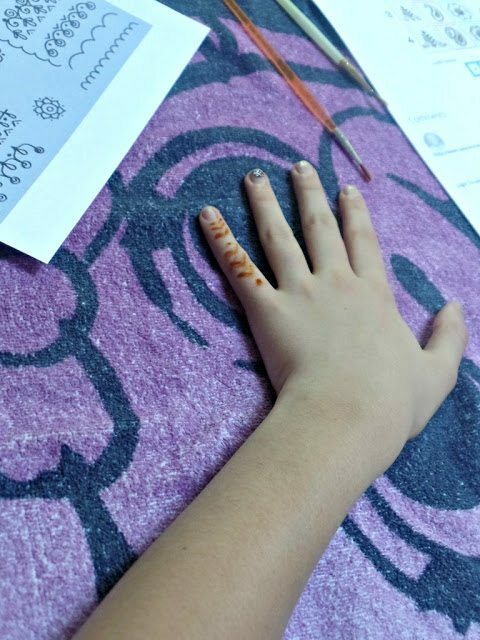 Other activities we enjoyed included DIY Mendhi tattoos using paint brushes dipped in gel food coloring. 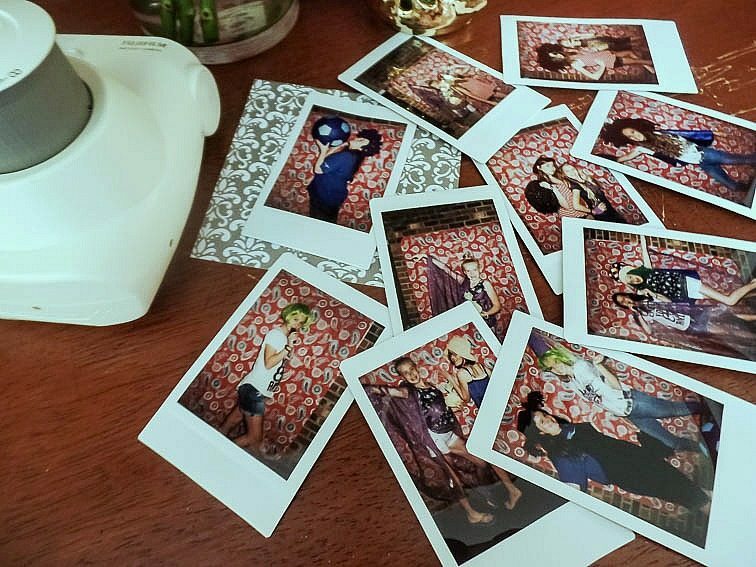 Another favorite activity – Photo booth fun with our new Fuji Instax Mini! We love, love this thing! There might have also been a bit of belly dancing, movie-watching and snack-eating going on.. but I promised not to post ALL of the photos. Bead ring – Pier 1 Imports – check them out for clearance items for this theme! I hope you’ve found some interesting and useful ideas for your Bollywood/Moroccan themed party, and I hope you’ll come back and visit us soon! 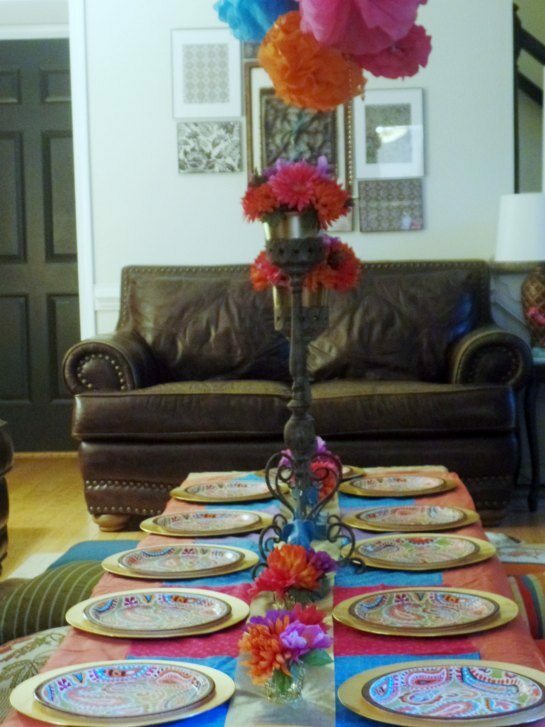 For more ideas on incorporating a Bollywood/Moroccan theme, check out my Pinterest board. This looks like so much fun! Great ideas! Thanks so much for dropping by and taking a peek! how fun!! looks like your daughter had an awesome time! Everything looked beautiful! Thank you, Ronda! It was a great group of girls and a really fun time. I'm not sure how much sleep was involved, but eh, sleep is over-rated! Love themed parties! The color scheme is so bright and beautiful. And the henna "tattoos" look great. I do too! It just makes it so much easier to plan! I was shocked to find out how many things I had around the house that fit into the theme perfectly. 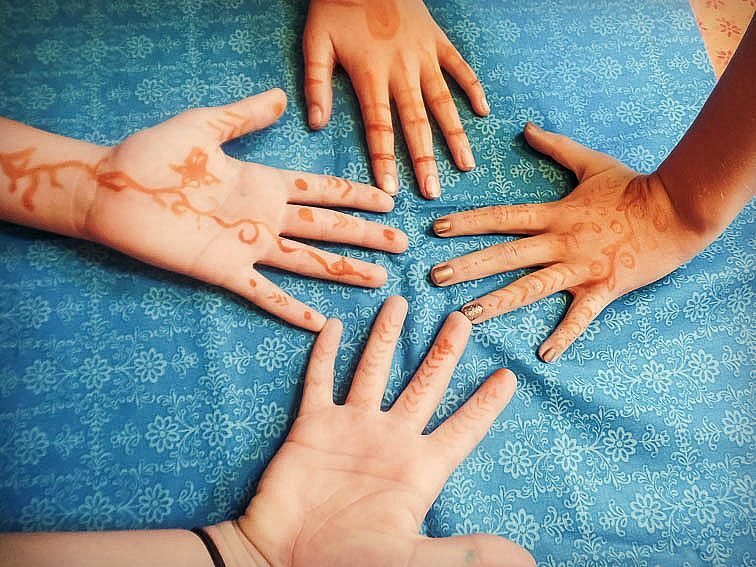 They really loved the henna "tattoos". It's always the simple things! Love the photo props. Going to keep this link for the future. Thanks! What a great idea! I love it. I never would have thought of this for a party but now I kind of want to do it! Wow! You go all out for parties! Your daughter and her friends will never forget this party. You win the Good Mom Award! Thanks Michele! Who knew you could get an award for being slightly insane? lol Seriously though, I do love, love planning a party, and I'm well aware that I have problem. Little one. I got tired just reading your list , Kim ! Geez, you have been one busy lady. I love your daughters party pictures everything looks lovely. Those plates are gorgeous too! What an awesome party theme and lots of great activities, too! I love that you kept the food simple, too. Looks like a fun party. I love all the different colors and textures. 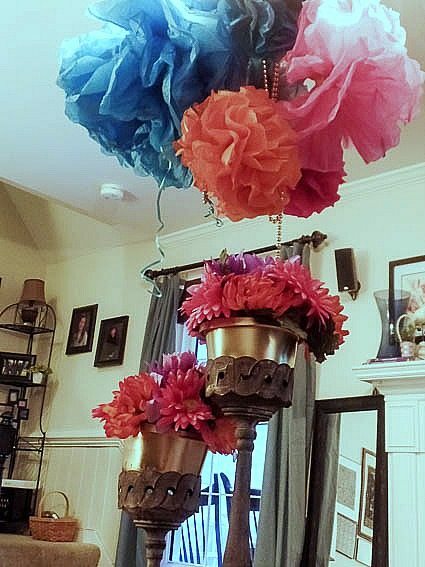 What a great idea to incorporate a Disney theme into something less princessy! And I love that you were able to mostly use things you already had on hand. Happy Birthday to your daughter, love the decorations! 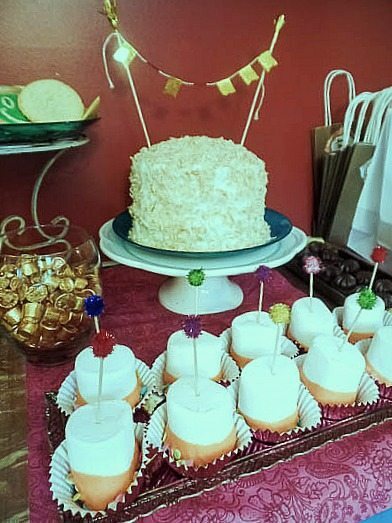 What a cute idea for a party. I love all your colorful decorations. It looks like the girls had a great time. I love this idea!!! I wish I could have been at the party, it looks awesome. Lol. This Bollywood themed party is so unique and looks like a lot of fun! Theme parties are the best! Looks beautiful, the colors are amazing! Your daughter is one lucky girl to have a mom like you! OK, you are just AMAZING. You make all the rest of us slacker moms look bad. Everything looks so beautiful! Wow, very cool idea! I bet your house full of tweens had a blast! awesome themed birthday party and perfectly age appropriate! Love how all the small details came together! Yes, you have been busy. I love everything about the party! It looks like they had a wonderful time. 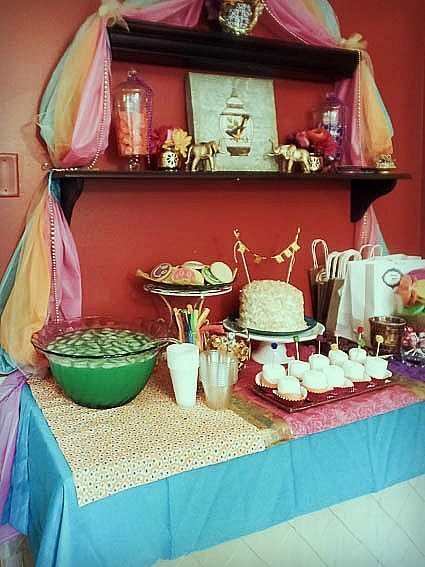 Oh my goodness, this Bollywood birthday party theme is just too cute and colors you have used are just so radiant. I am really happy that girls had some good time; I am also looking to organize a party at venues Chicago and will try to make it like yours.